Capital Smart City has already been launched and the development has also gained pace. Let’s explore more about Capital Smart City. Habib Rafiq (Pvt. Ltd.) are the sole owners of this project and is also a well-reputed firm in the real estate sector. FWO (Frontier Work Organization) are project partners as well. 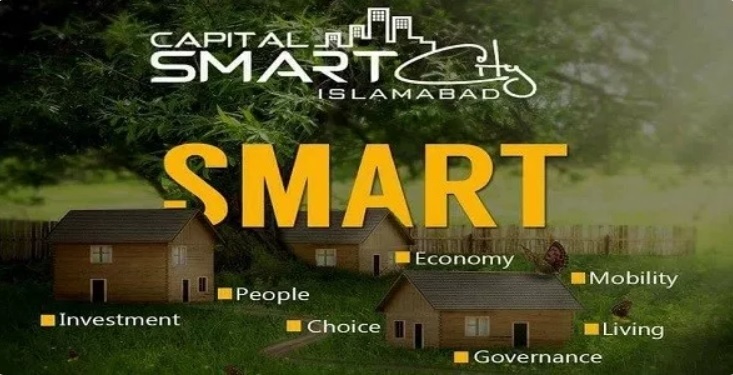 Capital Smart City is a unique housing plan, neighboring Islamabad Motorway (M2) exit, on a 5 minutes’ drive from the New Islamabad International Airport, and with a distance of 22 min drive from the centers of both Islamabad and Rawalpindi. Looking at the brochure of Capital Smart City, we can assure you that this project is an all in one project. The project offers over 90,000 employment opportunities, 30,000 housing units to house around 200,000 people and much more. Capital Smart City claims itself to be a “Model of Sustainable Development”, offering its benefits for all, the residents, the employees and the investors. Electric Cycles for residents to move within the city.